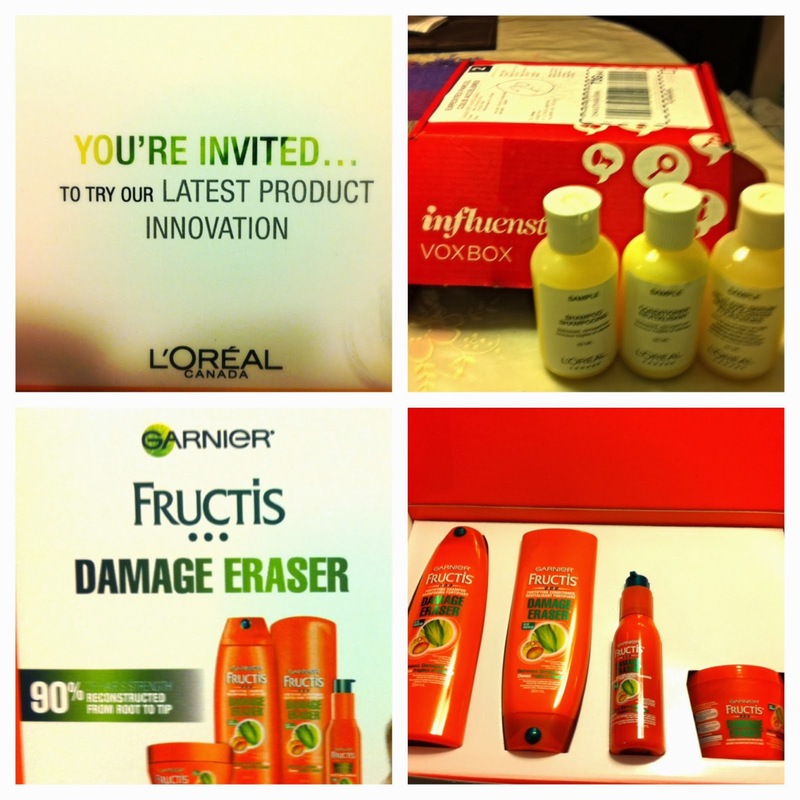 The Mystery VoxBox has been revealed and the products are from the Garnier Fructis products new Damage Eraser line. After trying this products for a week or so, I really like the shampoo and conditioner. It smell amazing! I love the smell and have leave my hair feeling so smooth and soft after using it. This products is really good for my hair, as my hair is a bit damage from split ends. I will continue on using it because I do notice difference after using this product. This is my first box I received from influenster and hope to receive other boxes to try in the future. 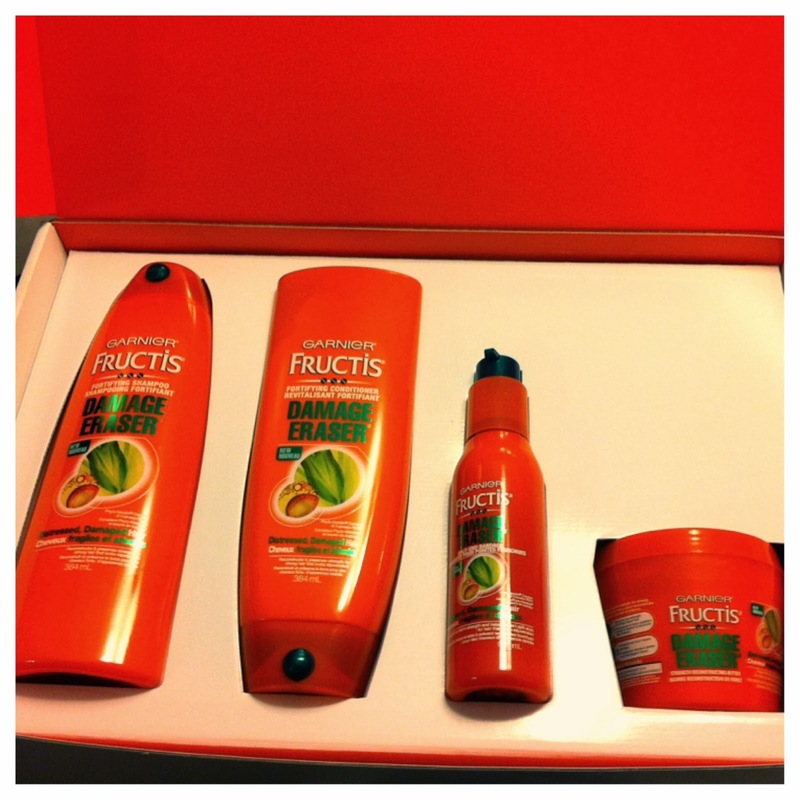 Thank you again influenster for sending me this lovely box from Garnier Fructis. In the sample box it didn't include the Reconstructing Butter, I am looking forward to trying it later this week. It look like a great hair mask. Cant wait to try it out. In the mail I have received four full size Garnier Fructis products, this include (Damage Eraser Fortifying Shampoo and Conditioner, Split Ends Bandage Serum and Reconstructing Butter). Thank you again Influenster and Garnier Canada for letting me try this products! To learn more Influenster please visit this their website Influenster :) It is free to sign up, anyone can join and receive products from them to reviews, please take a closer look at their website for further explanations on what influenster can offer. Maybe you should give it a try and sign up if you haven’t done so already. By the way, what do you think of the new Garnier Fructis Damage Eraser line? Would you give it a try? Did you also received a voxbox from influenster, what your thought on this line? This is my favorite kind of shampoo, this stuff is simply amazing! hi.. I just joined influenster. Do they send their voxbox in the philippines or just around canada and the us?